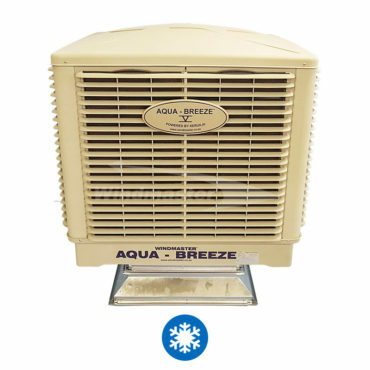 Your choice in proven reliability, our commitment to keeping you satisfied. 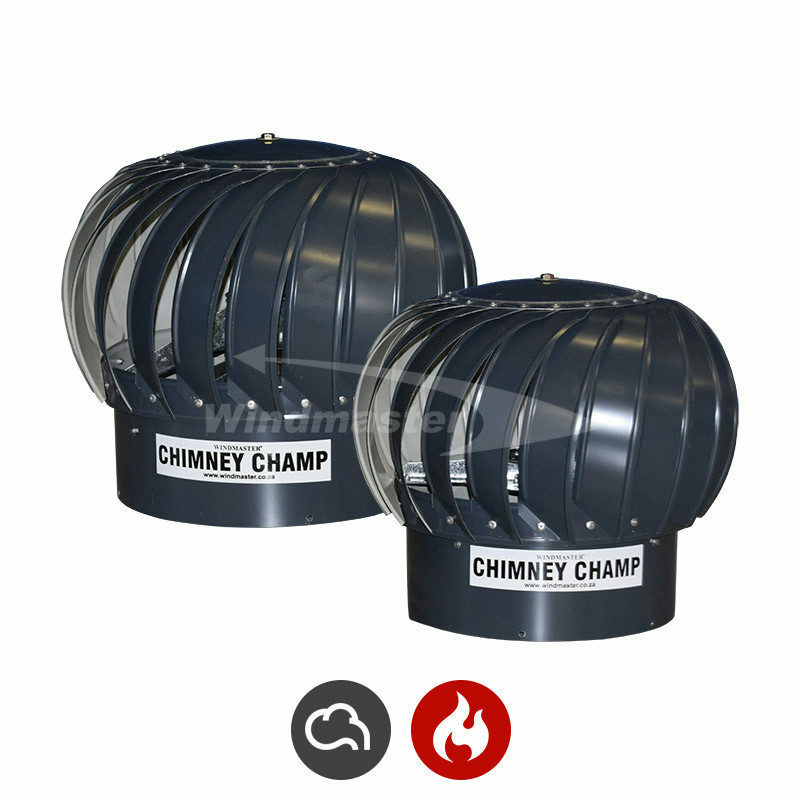 The Windmaster Chimney Champ Ventilator is South African manufactured and designed to extract smoke from braai areas and fireplaces. 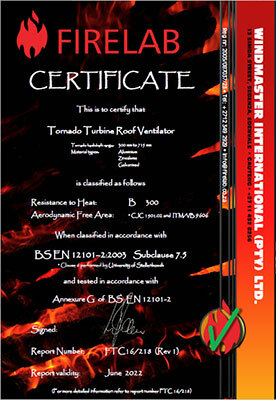 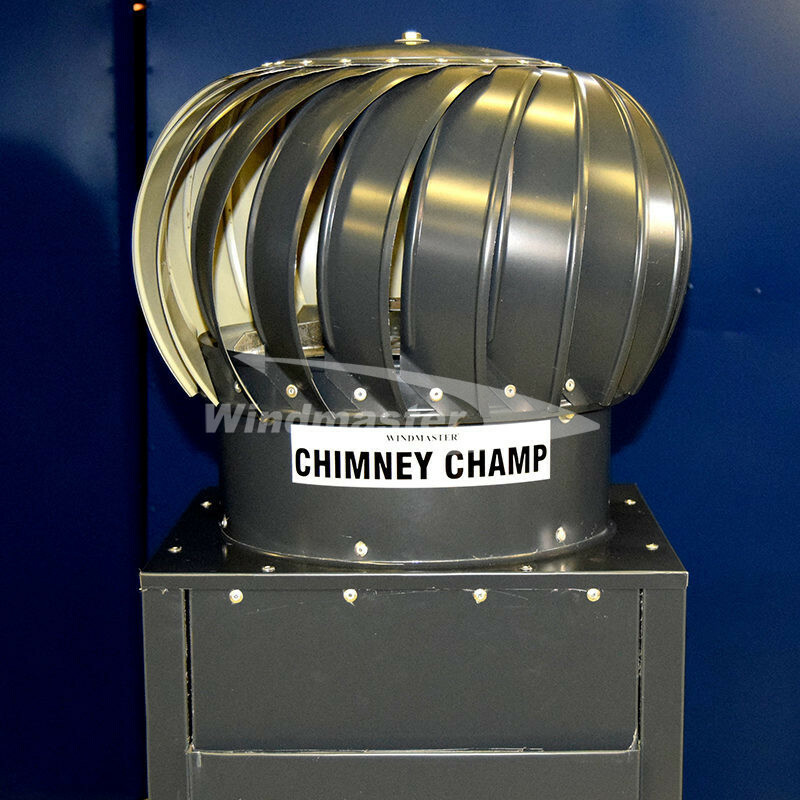 The unique and patent pending bearing system of the Chimney Champ has been tested to extract smoke of a temperature up to 250°C. The Chimney Champ is actuated by convection (upwards pressure of rising heat through the chimney) and is also assisted by the wind to extract. 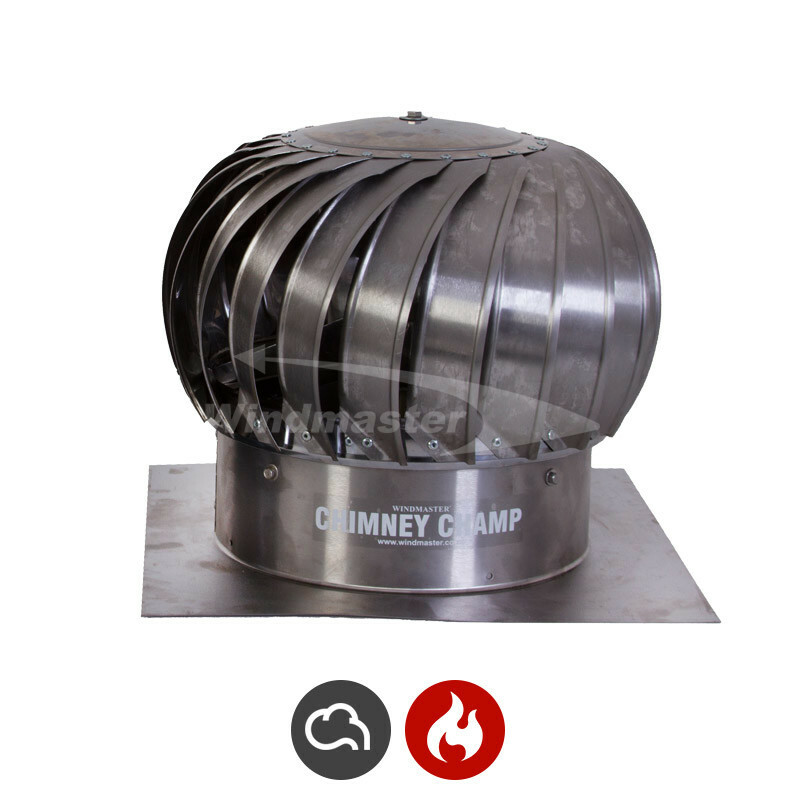 The rotating dome of the Champ creates a positive reaction which extracts unwanted and irritable smoke through the chimney of braai areas and fireplaces. 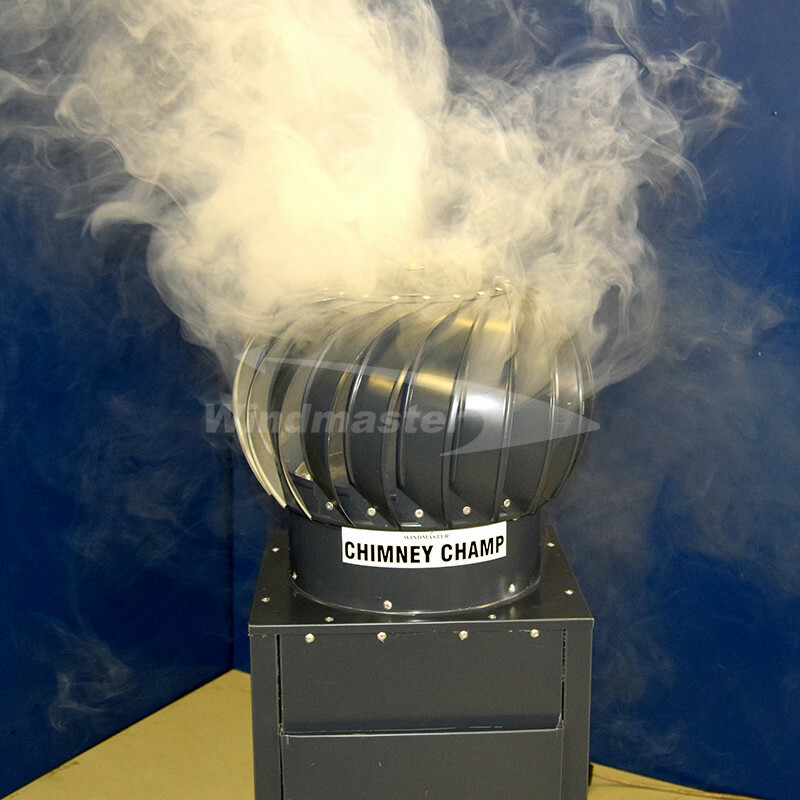 This reaction also causes the Chimney Champ to draw the fire which creates quick and efficient smokeless heat. 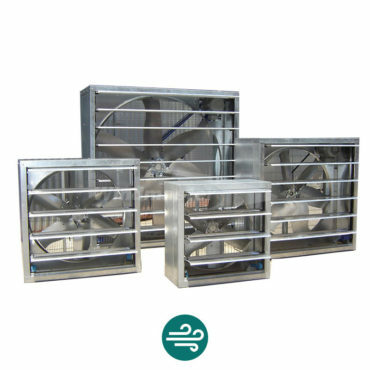 Ventilator rotates extensively when heat is generated and creates exhaust action which results in a clear, hot and pleasant fire. 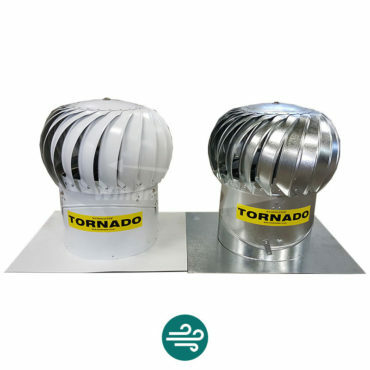 Constructed of 0.6mm Chromadek material, over and above its aesthetic attributes, chromadek paint coatings are designed to provide superior corrosion protection under conditions where the performance of unpainted galvanised sheeting may prove inadequate. 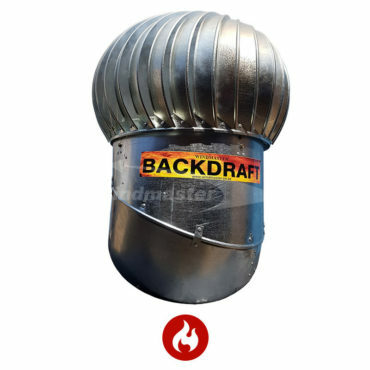 Paired with a specially patented heat resistant bearing assembly to withstand heat of up to 250⁰C. 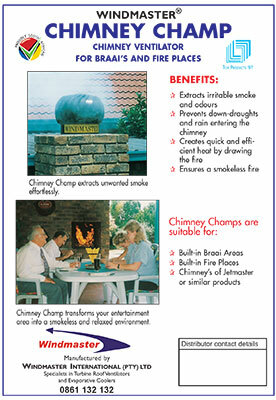 Prevents down-draughts and rain entering the chimney. 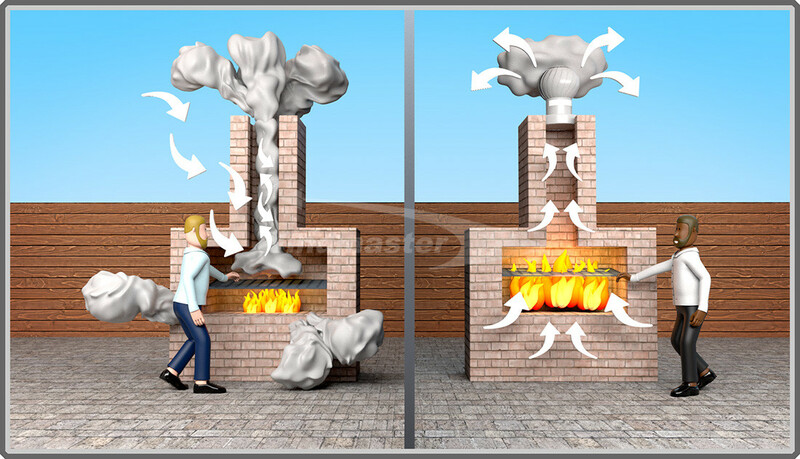 Creates quick and efficient heat by drawing the fire.